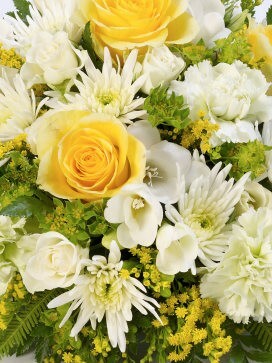 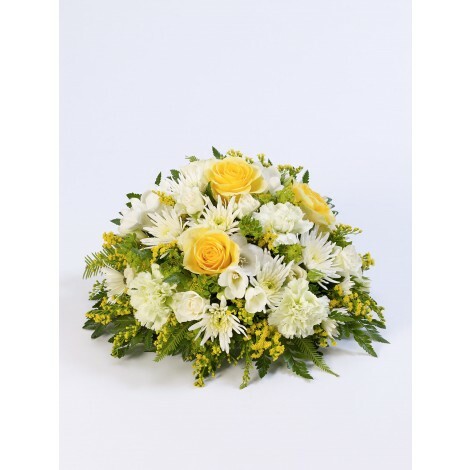 This charming and elegant classic posy features a hand-picked selection of pristine whites and vibrant sunshine yellows, including a selection of; large-headed roses, freesias, lisianthus and spray chrysanthemums. 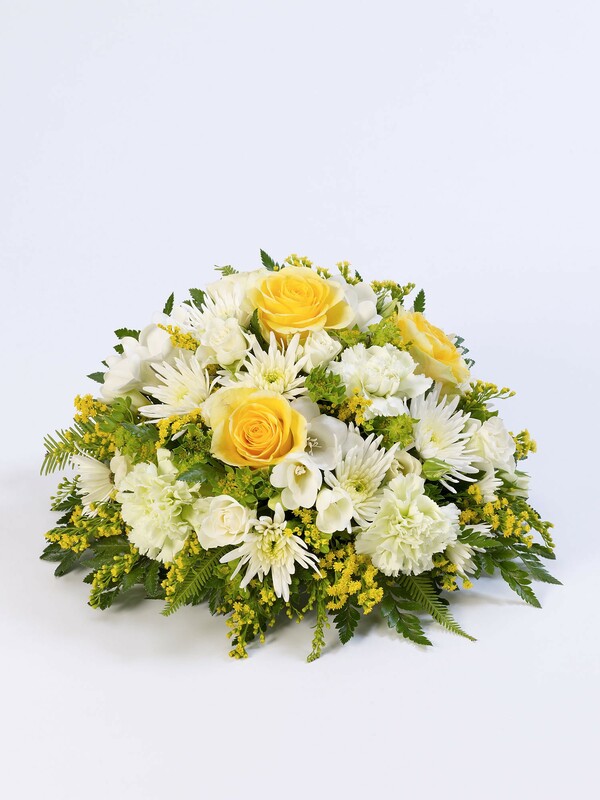 Expertly arranged and presented in a classic, posy design. Please note the image shown relates to the standard sized version of this posy.